San Antonio has a large number of military bases throughout the city, which is why we are proud to work with military personnel and families, to help them find the perfect homes and rentals. We can show you homes that are close to base and in many cases, near other military families. If you would like to learn more about our military home searches, please check out our home listings finder or get in touch with our friendly and knowledgeable team! Joint Base San Antonio’s website has a wealth of information ranging from wellness services and civilian employment, to recreation activities and shopping centers in the area. If you would like to learn more, please reach out to one of our agents! Find out what the local neighborhoods have to offer. 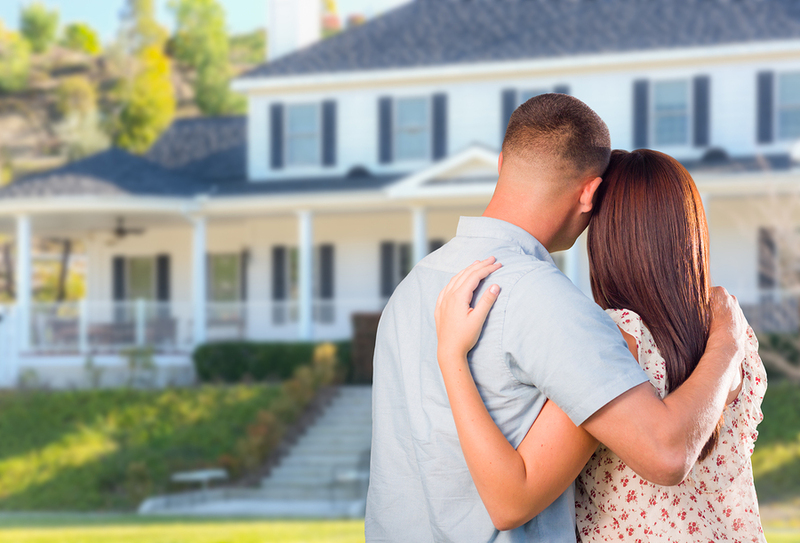 Whether you want to live near other military families or are looking for a quiet place to relax when you are off duty, an experienced real estate agent can make a huge difference in finding your ideal neighborhood. CAN I BUY OR RENT “SIGHT UNSEEN”? We generally recommend that our clients view a home or rental before making a commitment, however we understand that transferring to a new base can happen quickly, with minimal time to prepare. Our agents are experienced at quickly lining up desirable houses, so you can view a large number of properties in a short window. If you can’t view a home or rental at all before moving, you can trust our agents to give you a wealth of information that will lead to the most informed decision. Our agents’ knowledge and experience will mitigate a lot of the anxiety that would normally come along with buying sight unseen and ensure that you feel at home in San Antonio. SHOULD I RENT OR BUY A HOME IN SAN ANTONIO? The choice to rent or buy will come down to a number of variables for your situation. If you are going to be stationed in San Antonio for more than a few years, buying can become a smart investment. With the booming housing market in San Antonio, you will likely see your home significantly increase in value over the next few years. You must also take into account the location of your base. If your base is near highly sought after real estate and residential areas, you will likely see higher housing prices and greater competition. If you are willing to work with a longer commute, you can find more affordable housing in the outer areas of San Antonio and the surrounding suburbs. Our knowledgeable agents can help explore every option and find a house or rental that fits your lifestyle and budget. ARE THERE JOB OPPORTUNITIES FOR MY FAMILY IN SAN ANTONIO? San Antonio has a booming economy that supports a diverse array of job opportunities. Because San Antonio is a military town, there are a wealth of employment opportunities for civilians on or near base, as well as plenty of job and career level positions in industries like Advanced Manufacturing, Aerospace, Bioscience, Information Technology, New Energy and Financial Services. Our expert real estate team can help you find a home or rental that works for you and your spouse’s career goals. Talk to our team or check our listings to get a head start on your San Antonio house search or find a new home fast. Our friendly and knowledgeable realtors love helping the military and their families find great homes in San Antonio. Thank you for your service, we look forward to working with you soon!